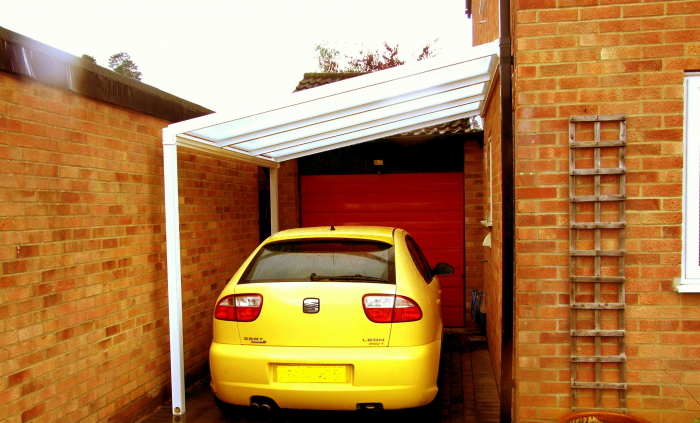 Protect your vehicle with a LuMac Carport! WE MAKE ANY SIZE. 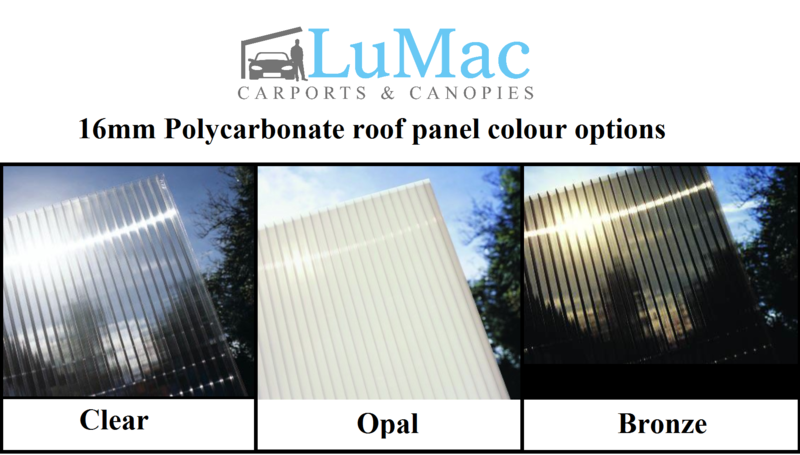 A LuMac Carport offer protection all year round from rain, snow, frost & the sun. We stock carports in white and brown frames & can offer custom colours on request. We can extend beyond the end of your wall – Click Here for more details. Measure the area you would like covered. You measure the distance away from the wall (we call this Projection). Then You measure along the wall (we call this Width). You do not need to worry about taking the slope of the roof into account, we do this for you so you can just measure the area on the ground you would like covering. For useful documents to help with working out heights please Click Here. By filling in our quote form (Click Here) you will be emailed a quote that contains your dimensions and canopy specification. This email will contain a secure payment link that allows you to order using your Debit/Credit card or PayPal account. After your order arrives we call you straight back to agree a delivery date that suits you.